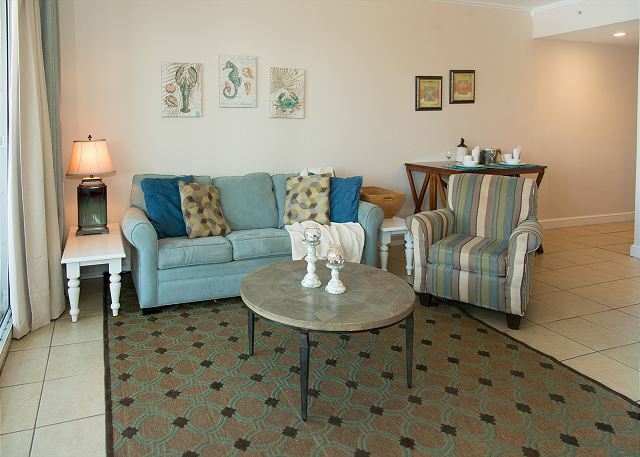 Gulf 103 is new to DestinWest Vacation Rental and is a favorite for so many. 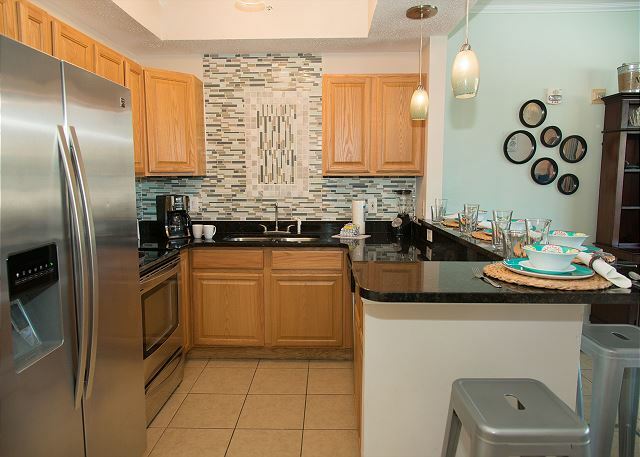 We can't stop talking about how convenient this condo is to everything on the Gulf side. Gulf side pool is right outside the sliding glass doors. 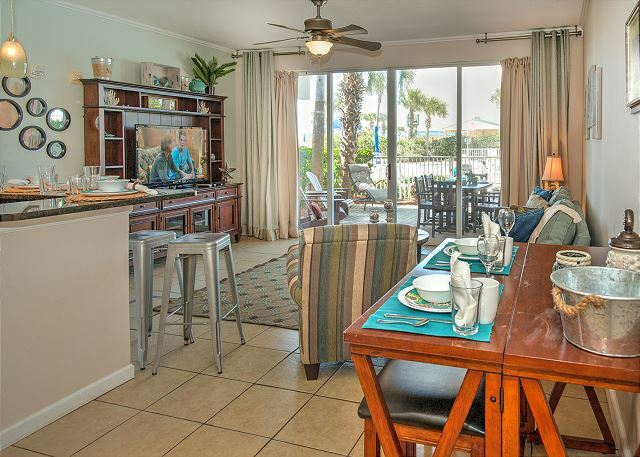 The picnic, gym and the walkway to the beach is right beside this condo. No other condo can compare! The Lazy River is a short walk across the Pedestrian Bridge to the Bayside. Don't forget there is also a marina on Bayside for you and family to fish from. Open Concept living room/kitchen/dining area offers views with floor to ceiling patio doors that lead out to your own view of the pool. Master bedroom has a king size bed and Private bathroom. There is also a bunk room with it's own private bath and sleeper sofa in the living room. 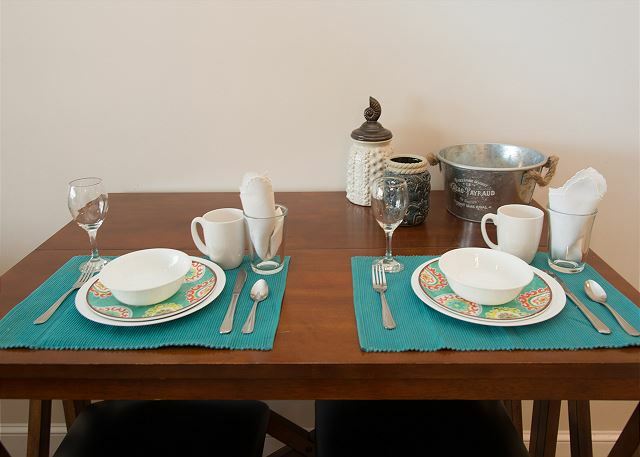 The kitchen is equipped with every tool needed to make a gourmet meal or a quick bite in between pool and beach stops and the picnic area just outside has charcoal grills available for your use. We have tv's in each of the bedroom equipped with cable. 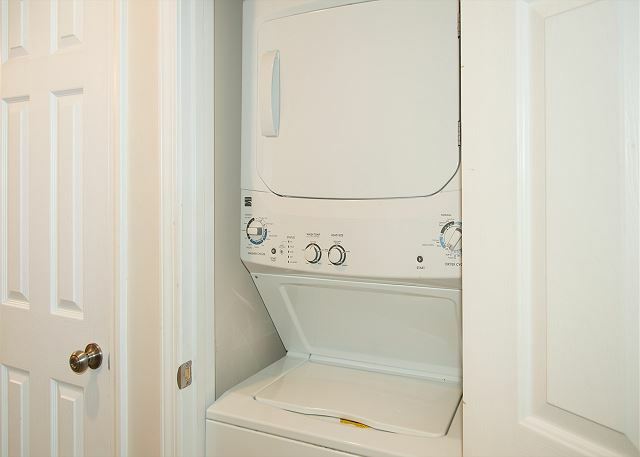 Wi-fi is free and we do have a washer and dryer for your convenience as well. 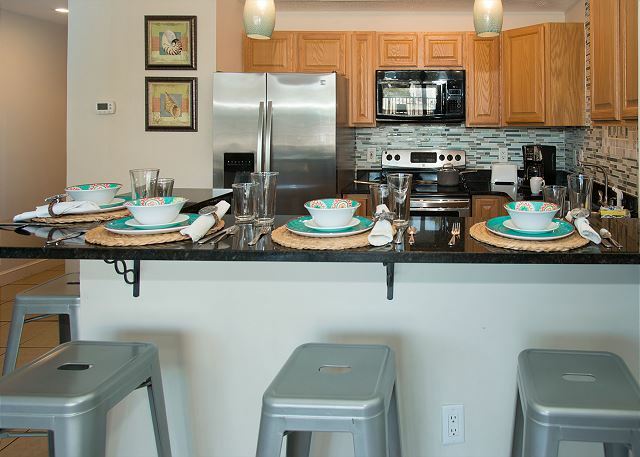 Guests will have access to a wagon, 4 chairs and an umbrella so no need to lug all of that from home. 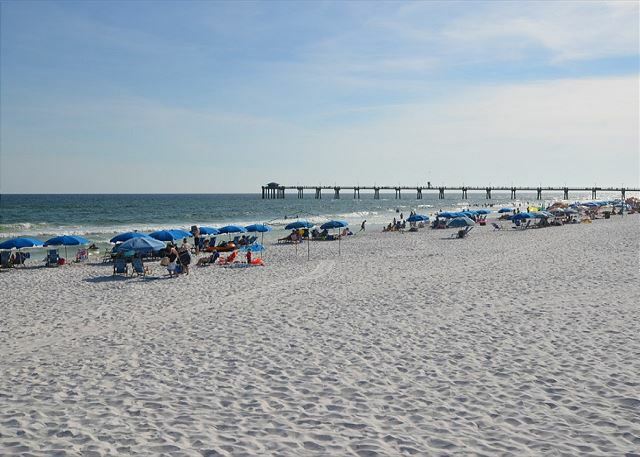 Destin West is in a prime location. 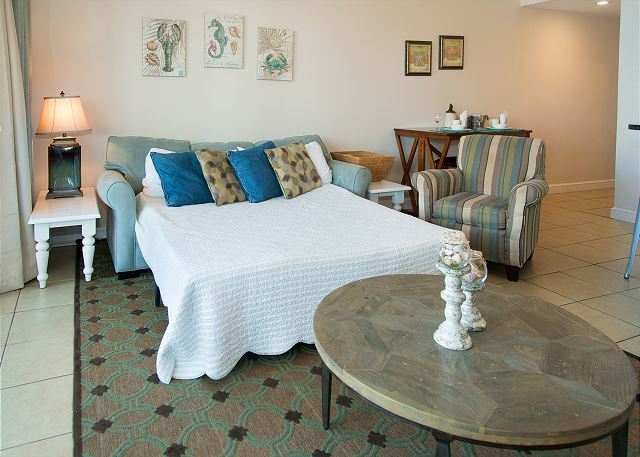 Convenient to restaurants, shopping, or strolling the beach. You won't have to go very far to find something for everyone. The fishing pier is a nice walking distance from the condo where you can fish or catch a good sunset. 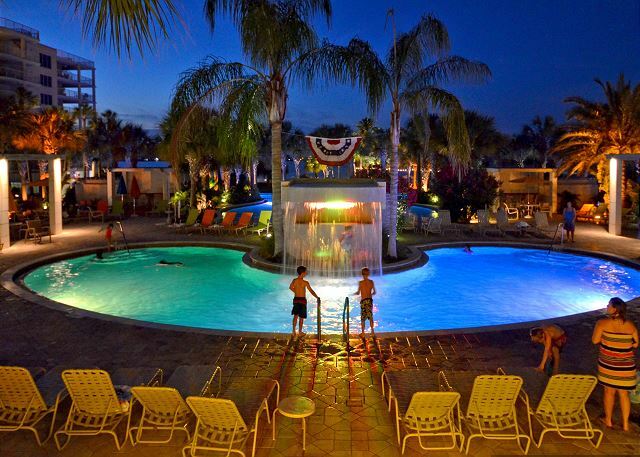 We have so many pools to choose from on beach side and bayside as well as a 700-foot lazy river, several hot tubs and a marina. These will keep your family busy during your stay for sure. We were happy with the condo. Close to the pool & beach. The property was close to places to eat. We could walk to The Crab Trap & AJ’s. The condo was clean but the living area & hallway could use some paint & the curtain on the patio door needed to be cleaned. The management was very nice & if we needed anything they made sure we got it. We rented again next year can’t wait!! Dear Ms. Roberts, Thank you for your kind comments! We take all of our reviews seriously and are so happy you enjoyed your stay! We'll be looking forward to your next trip! 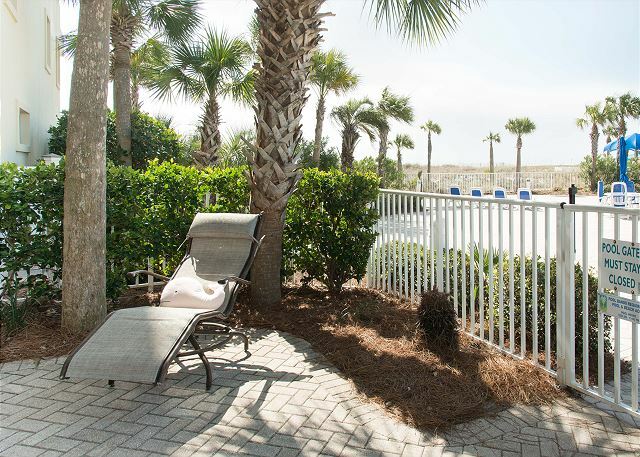 This is a very nice condo at Destin West and was as expected from pictures and descriptions It is the closest ground level unit to the beach. 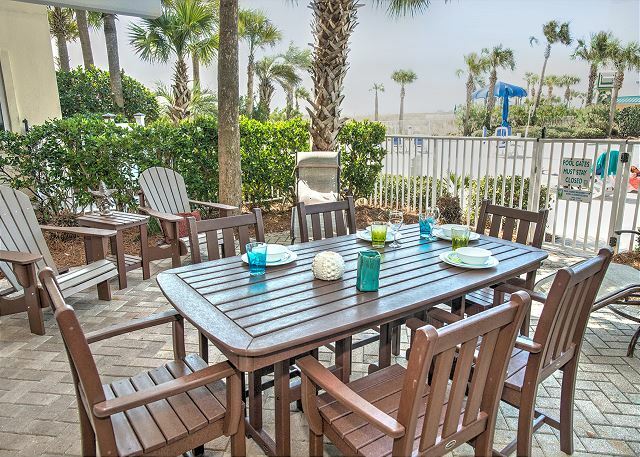 The patio is large and has very nice patio furniture, including a table and 4 other lounging chairs. 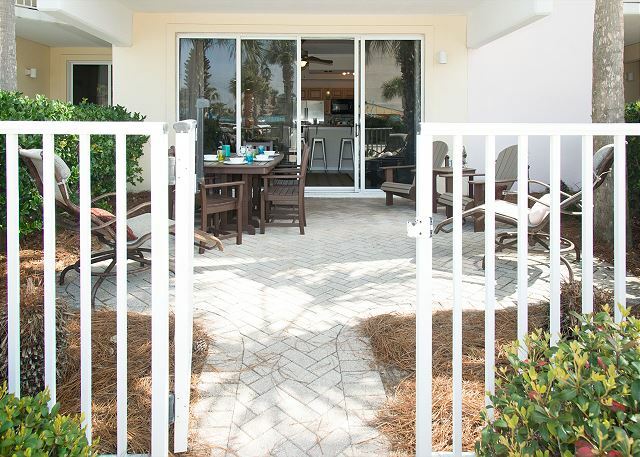 Patio gate opens to the pool area. 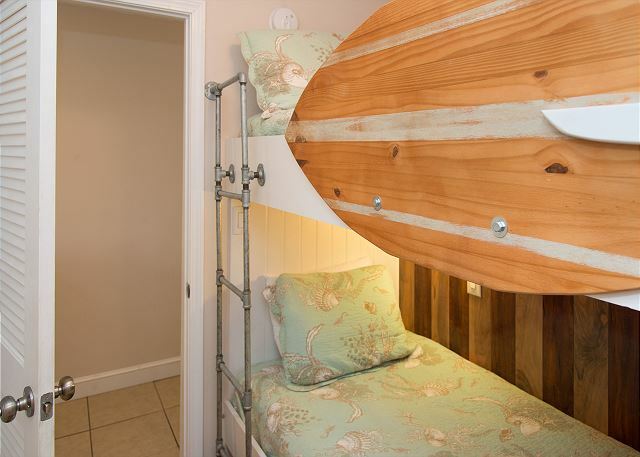 It's technically a one bedroom, but the bunk room also has a door that can close. Each bunk had it's own TV which my kids thought was amazing. 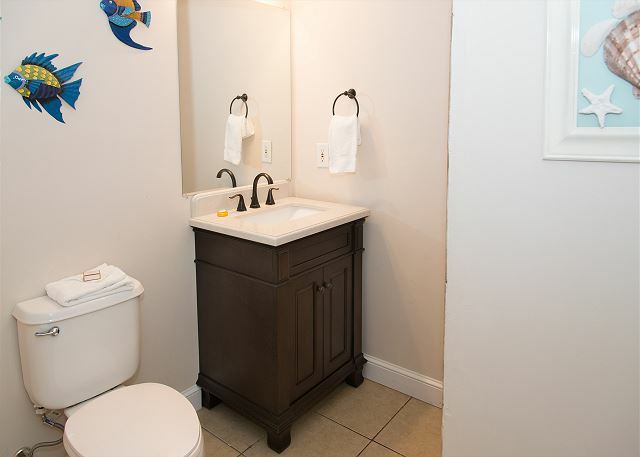 Beach service was not included with this unit, but prices were compatible when adding that cost ourselves. The beach attendants were so friendly and helpful with questions about the weather, etc. (we did get several spot storms during our week). Unit had a beach wagon which I don't think I can do without again on a trip to the beach with kids.. so nice to load up all the toys, cooler, beach bag, etc. Several beach supplies - umbrellas, chairs, toys were with the wagon. We also had access to a storage garage on bay side to see if there were any other items we wanted to borrow for the week and then replace in the garage. The beach was more crowded than I had expected for September but I heard it was fall break. Visited the lazy river one day and it was nice change. Large pool on beach side of resort and it was a nice temperature for fall, I don't think it's heated but almost felt like it. Hot tub is large. There are a few restaurants near fishing pier in walking distance. We loved our nightly crab hunting. Management very friendly and responded right away to questions. They checked in with us via phone and text around our arrival time. Two more chairs for the inside kitchen table would be nice, and 2 spare rolls of toilet paper and a couple more dishwasher pods would have gotten us through the week without buying more (although it does state only furnished with a starter supply). We were very close to the grills and had basic kitchen supplies. The bedroom closet also had a pack-n-play and highchair, and a box fan. Would stay here again. Dear Ms. Gibbar, Thank you so much for taking the time to leave us this wonderful review! We're so happy to know that you enjoyed the time with your family. 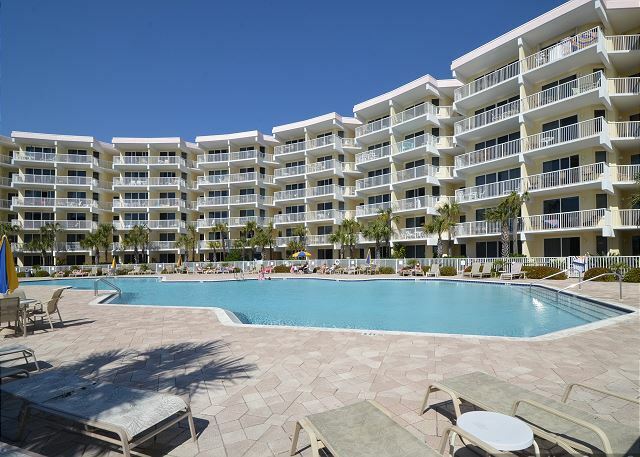 103 Gulfside is as close to the beach as you can get! We'll be looking forward to having you back with us again one day very soon. Until then, we'll save some sunshine for you! Dear Ms. Lynch, I'm so glad to hear you guys loved your vacation! We are in this business for the family experience! We're looking forward to welcoming you back again soon!